Leather Binding is the process of binding a leather or vinyl strip under the free edges of the rug in order to provide additional support. This addtional support keeps the edges of the rug from curling inwards and re-enforces the sides to provide protection against wear and tear, simply to help keep them flat on the floor. We offer eight binding options for your natural fiber rug. We recommend the Wide Canvas Binding for all the weaves and it is standard on all weaves. 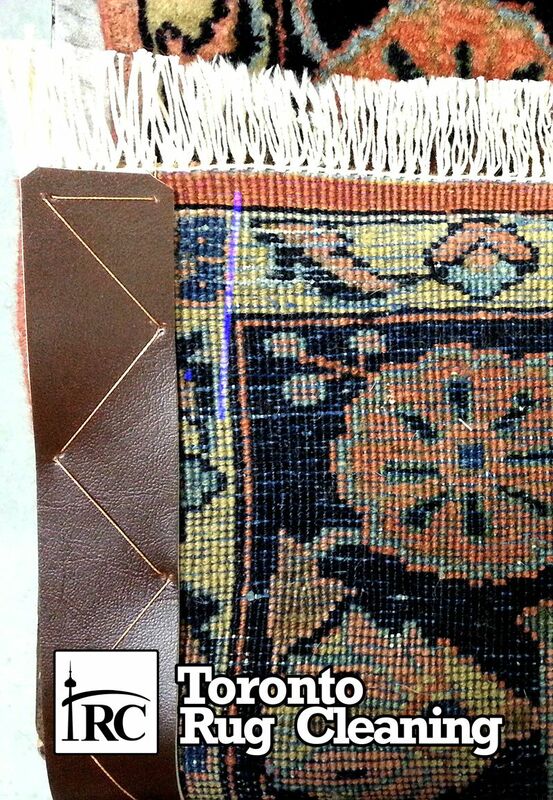 Binding and surging techniques prevent rugs and runners from raveling. They are also useful techniques to add not only function but style to your home decor. Rug & Carpet surging is a technique where by yarn is wrapped around the edge of a rug to prevent it from raveling or fraying. It also creates a very eloquent look to your area rug, oriental rug, or even a hallway or stair runner. Usually Hand binding using high quality cotton or silk reserved for wool and higher end rug & carpets. Very few companies provide this service due to the intricate nature of the process. You will see this on many high-end rugs. We offer many colors to choose from so that there is a perfect match to your rug or runner. Leather binding and studs can give a piece of carpet or rug an elegant and sophisticated look. We are one of very few companies that offer this specialized service.